Today’s review is another of the figures released in the Diamond exclusive wave of figures from the Marvel Legends line. The clawed hands are new unique sculpts, but the head sculpt is particularly good at capturing the ferocity of the character without giving him a raging expression. 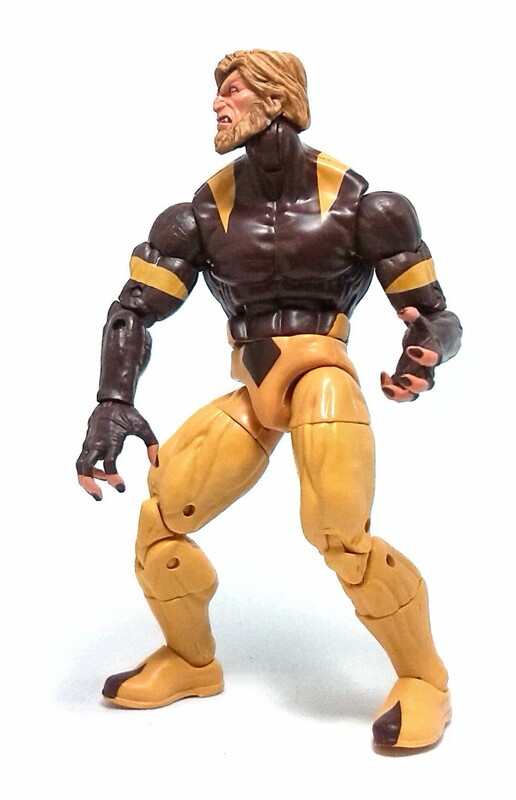 One reminder that this body mold was originally developed for other character can be found at Sabretooth’s back, in the form of a pair of peg holes used to hold other attachments for different characters. 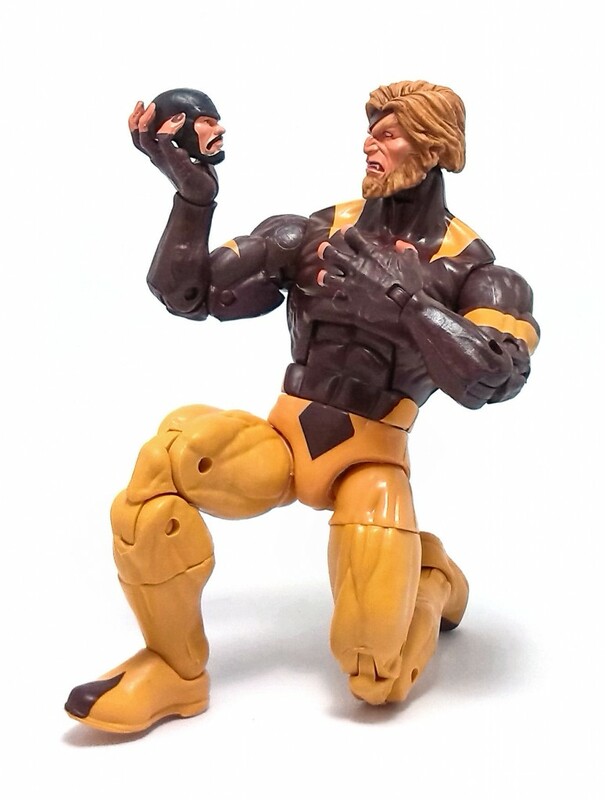 This articulation design provides a great range of movement and stability for Sabretooth, and the joints feel quite firm to hold almost any pose for extended periods of time. 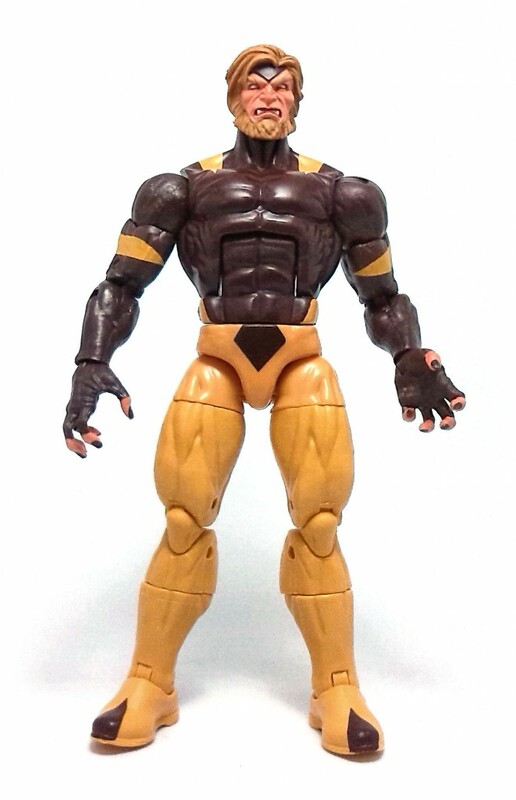 Sabretooth was cast in an ochre and dark brown plastic, with paint applications of matching hues for the areas that overlap onto the opposing color. The paint applications on the head are nice and work well with the sculpture beneath. I find particularly effective the use of a darker reddish color to line the eyelids and the interior of the mouth. 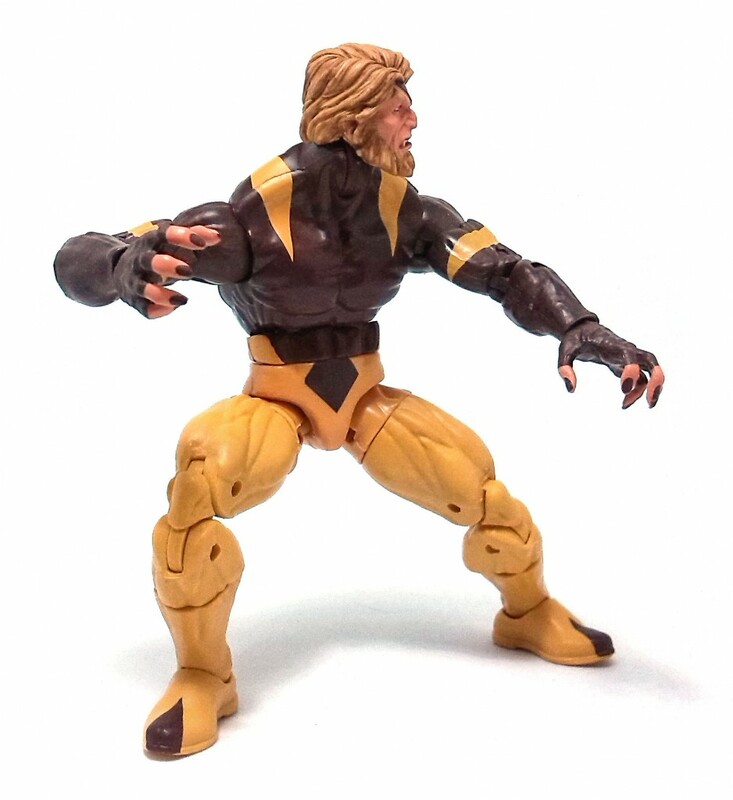 Sabretooth comes with no accessories, but the package does include the head of Puck, the Build-A-Figure that gives name to this wave of figures. 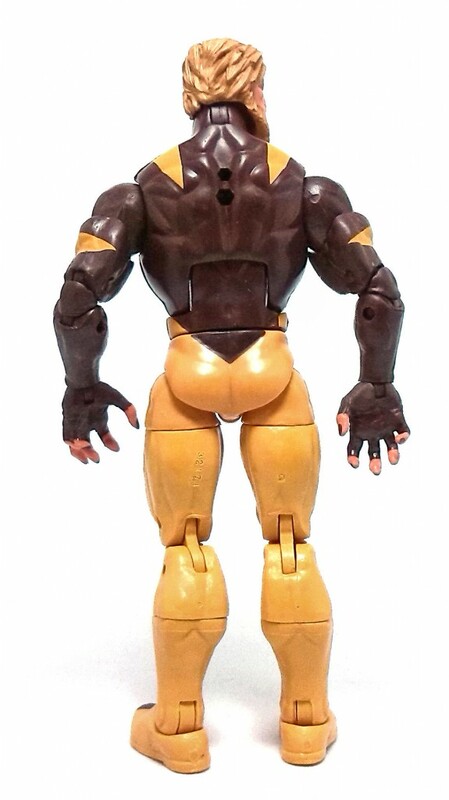 Puck’s head is fairly small, barely bigger than the head of a Marvel Universe figure, and quite well painted. 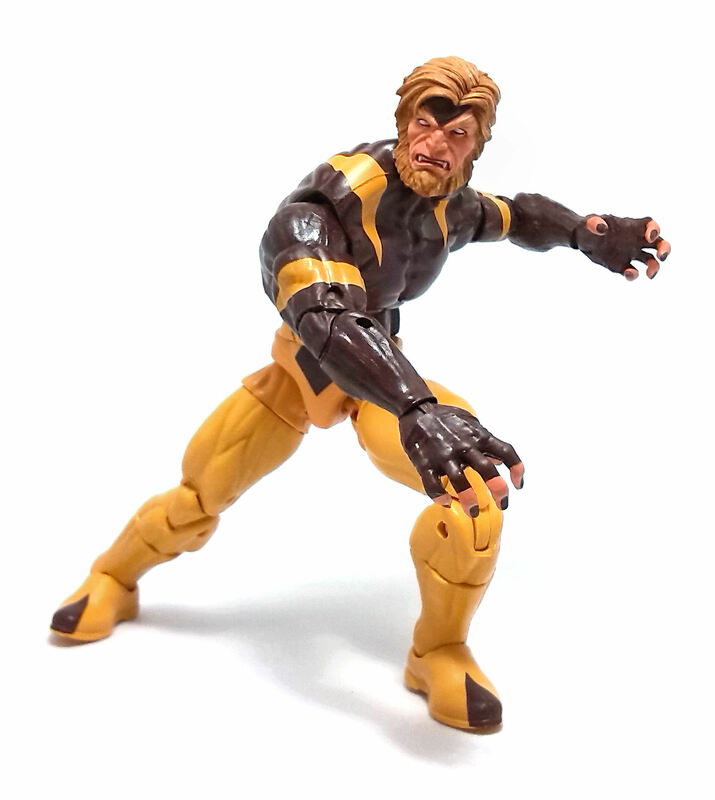 Out of the three figures I picked up from this wave (Wolverine and Cyclops being the other two), I have to say that Sabretooth turned out to be the best looking one, and even though some might find Sabretooth’s costume to be a bit too similar to standard sportswear, I actually like this modernized version of him.